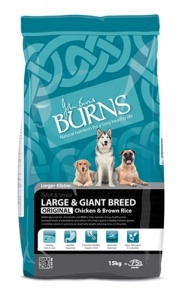 Burns dog food for Large and Giant Breeds contains controlled levels of protein and fat helping larger dogs maintain an ideal body weight to help reduce stress on joints. 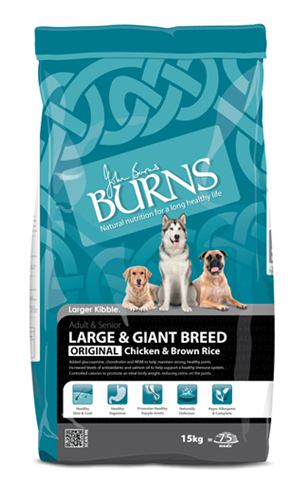 Glucosamine, chondroitin MSM and salmon oil have been added to help maintain healthy joints and mobility. Antioxidants including Vitamin C neutralise free radicals which can cause cellular damage and ageing.